CLOSING PRICE REFLECTS REDUCTION OF SA COMMISSION. 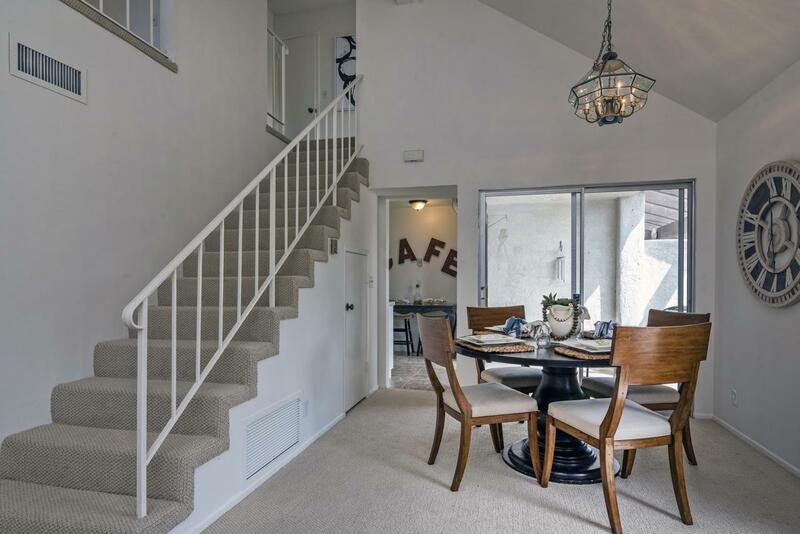 Ideally situated on a high corner lot in the popular Vieja Gardens development and bordered by the Hidden Oaks Golf Course, this updated south-facing townhome is a rare find. The main level of the home features a comfortable living and dining area highlighted by a vaulted ceiling, wood-burning fireplace, wood window shutters, and new carpet. 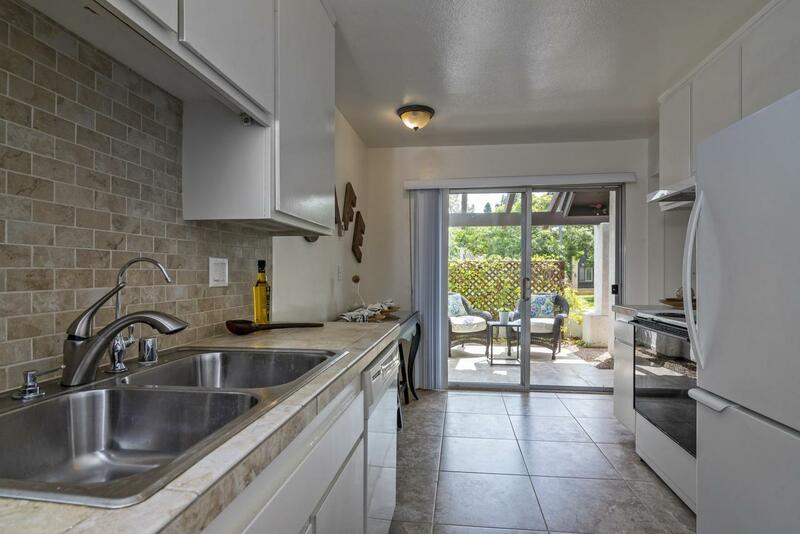 The remodeled kitchen enjoys access to a private patio, remodeled full bath, and interior garage access. The upper level features a spacious master bedroom with walk-in closet and balcony that takes advantage of the stunning mountain views. 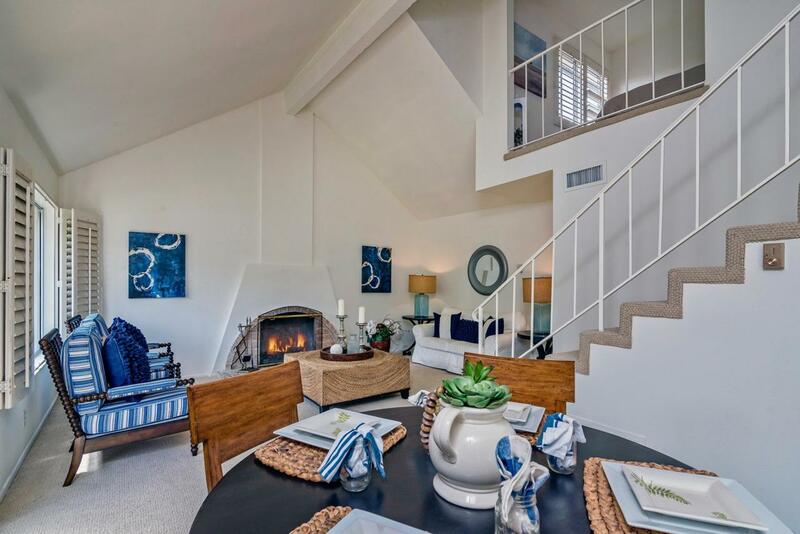 Located a short stroll from the More Mesa open space, beaches, and UCSB bike path.